The study outlines the division of cyber security tasks and responsibilities between different agencies, describes their mandate, tasks and competences, and the coordination among them. In particular, it describes the mandates of political and strategic management; operational cyber security capabilities and cyber incident management; military cyber defence; and cyber aspects of crisis prevention and crisis management. It also offers a summary of the national information society setting and e-government initiatives as well as the national cyber security strategy objectives in order to clarify the context for the organisational approach in a particular nation. Agencies mentioned: Ministry of Economic Affairs and Communications, Ministry of Defence, Cyber Security Council of the Security Committee of the Government, Estonian Information System Authority (EISA (RIA)), Estonian Computer Emergency Response Team (CERT-EE), Estonian Defence Forces, Strategic Communication Centre, NATO CCD COE, Estonian Defence League, National Crisis Management Committee, Ministry of the Interior, Estonian Internal Security Service (ISS (KAPO)). This entry was posted in Governance and tagged Anna-Maria Osula on June 22, 2015 by user469294. The security engineer is part of a team of highly skilled, dedicated individuals who support research and software/security architecture for new product developments. This role will be based in Estonia (Tallinn/Tartu) and be a part of an international organization where most of the clients and market is growing overseas. * Integration of KSI with various technologies like virtualization platforms, Internet of Things, PKI-based systems, code repositories, networking platforms, big data and others. This entry was posted in Vacancies on June 22, 2015 by user469294. * Proactive work to prevent security incidents. * Knowledge and experience at least one of the following: Windows, Unix, or databases. On January 1, 2016, Estonian Police and Border Guard Board (PPA) will start collecting booking information for all flights to and from Estonia. “The main reason for collecting PNR data is to fight cross-border crime, because drug and human traffickers, smugglers and the rest all make use of the broadened opportunities for free movement,” PNR project leader Kristi Laul said. “The PNR system will have a direct effect on public safety and have a positive effect on state’s internal security and its ability to counter serious crimes.” The data will only be used to investigate terror threats and other serious crime. The database serves as a tool to find people who could pose a risk to public safety. 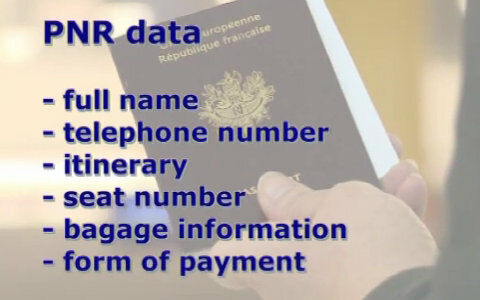 PNR, or Passenger Name Records, are, in essence, data about your flight details. Every time we travel by plane, either the airline or the travel agent needs a series of data to proceed with our reservation, including itinerary, contact details, forms of payment, accompanying guests, and sometimes food preferences. This entry was posted in Personal Data and tagged Kristi Laul on June 20, 2015 by user469294. Commissioned by Estonian Information System Authority (RIA), a new study has been completed on the lifecycle of encryption algorithms. According to Toomas Vaks, Deputy Director-General of RIA, it is important to abolish 1024-bit keys as soon as possible everywhere. For the next five years, 2048-bit keys and, in the long-term, 3072-bit keys at a minimum should be used. This entry was posted in Cryptography on June 20, 2015 by user469294. The group is led by Prof. Olaf Maennel. It is a very young and active group, started around 2013. The main interests of the group are in intrusion detection, testing security policies, and security simulation exercises. They have gained a European FP7 project on E-Crime. The group is still establishing itself in research and its activities are promising. The number and quality of publications is still limited and should be increased. This can be done since the leader of the group is well cited. Assessment: The panel judges the research to be of high international level. The overall evaluation of the group is good. This group represents a number of subunits, with 6 topics led by 5 lead PIs (Sven Laur, Helger Lipmaa, Vitaly Skachek, Dirk Oliver Theis, Dominique Unruh). The group was restructured in 2011 with the recruitment of Unruh and Lipmaa. The group addresses six key research topics, namely classical cryptography, quantum cryptography, coding theory, combinatorics and algorithms, security, and verification of cryptography. All topics are related to computer security. The research highlights include quantum proofs of knowledge, privacy-preserving data-mining, efficient non-interactive zero-knowledge proofs, communication complexity and the rank of matrices, and permutation codes. The group claims 8 level 1.1 publications, which seems a bit low. However, it is also a bit misleading since their list of 30 best papers includes 11 articles in top or at least internationally well recognized journals (J Cryptology, European J Combinatorics, IEEE Tr Information Theory, IEEE J selected areas in communication, Theoretical Computer Science, Journal of Computer Security, Bioinformatics, European J. Operations Research), besides 7 papers in the very best conferences (FOCS, Crypto, Eurocrypt, ICALP). Remaining top 30 items are papers in more specialized cryptography and security venues like ACM CCS, PKC, SCN, CSF, Eurocomb. Publication rate of top level papers has increased significantly over the evaluation period. Many of the students (10+) are working in related industrial SMEs such as Cybernetica. They are contributing to several practical applications such as e-voting. The group is recommended to keep its current high quality and volume of output, and to develop some additional internationally financed projects. Based on the evidence, panel judges the research to be of high international level. Because of the strong upward trend the overall evaluation of the group is excellent. This entry was posted in Education and tagged Dirk Oliver Theis, Dominique Unruh, Helger Lipmaa, Olaf Maennel, Sven Laur, Vitaly Skachek on June 11, 2015 by user469294. Electronic Voting Committee invites those interested in Internet voting to attend the day of ideas event, which will take place on Thursday, 18 June, 2015 from 11:00 to 15:00 in the hall of commandant house at Toompea street 1, Tallinn. 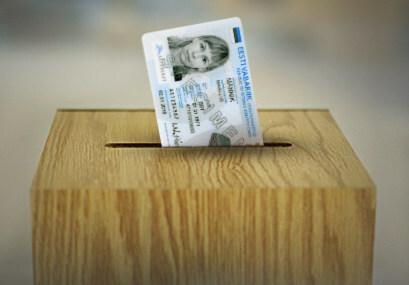 I-voting in Estonia has been used already for 8 elections in 10 years. The system has been continuously developed, but since the time of the next regular elections is after little more than two years, it is an opportune time for introducing something larger and more substantial. Hence the aim for the day of ideas: everyone will have the opportunity to present his ideas or thoughts on how to make i-voting even better, more secure, more transparent, more reliable, etc. – invited are both technical and organizational improvement proposals. a) register your participation no later than 16 June by sending an e-mail to vvk dot ee. b) describe in a few sentences the idea and give an estimate on the time needed for the presentation. If you wish, you can show the slides. Invited are also those who do not have their ideas, but still would like to participate in the debate about the ideas. Ivo Kubjas “Mixnets – why, what and how? This entry was posted in Internet Voting and tagged Ahto Truu, Arnis Paršovs, Ivo Kubjas, Jan Willemson, Sven Heiberg, Tanel Tammet, Tarvi Martens on June 11, 2015 by user469294. Postimees possesses a document proving that a secret unit at US Embassy has for years been surveying people on streets of Tallinn, collecting personal data citing security, and entering those whose behaviour causes suspicion into global terror database. 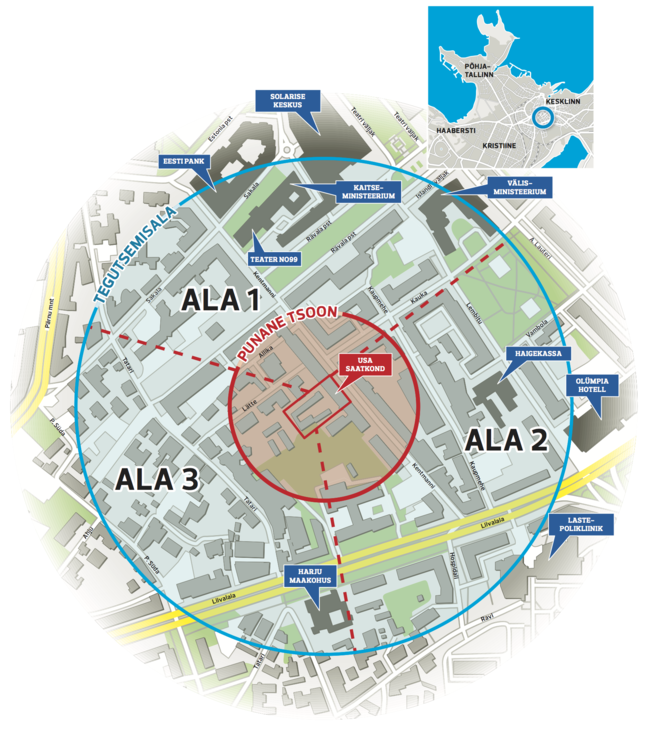 All this is approved by Estonian interior ministry and happens with help by police. The rules regarding reporting suspicious behaviour are so strict that it seemingly takes trivialities to get reported. As an example of that, there is this Tallinn housewife included who often waits long for her child at the Südalinna School. Or take the old lady walking her dog in Lembitu Park. Need some more? A report has also been filed on a man who attends Alcoholics Anonymous close by. The activity of the unit is okayed by Estonian government. Its information reaches the police, as agreed between the two countries. Automatic inquiry reaches Central Criminal Police which, as requested by the embassy, discloses personal data – such as background of the owner of a car, the person on the picture and his/her background. These data are added to the SIMAS report. Depending on the behaviour of the people concerned, entries may remain active for 5 to 20 years – or permanently. Getting entered may affect decision by USA whether or not to grant visa for entry. Why and on what basis does Estonian police hand personal data of our citizens to US Embassy as soon as they apply for it? State agencies share data with third parties strictly pursuant to law. Suspected attack against a diplomatic representation or danger towards human lives or health is reason enough, doubtless, to exchange data. The question leaves one with the impression like Estonian state agencies would submit data upon initial request. This definitely is not the case. This entry was posted in Countersurveillance, Personal Data and tagged Erkki Koort, Josh Weisman on June 2, 2015 by user469294. Abstract: Security Quality Requirements Engineering (SQUARE) and Security Requirements Elicitation from Business Processes (SREBP). This thesis compares the two methods based on an empirical case study of the Estonian Football Association. The elicited security requirements are categorized and the completeness of their coverage is compared. Abstract: This master’s thesis describes the design and business processes of the prototype of a secure survey system using secure multi-party computation. The design of the system is also described in this paper and is illustrated with a deployment model. Abstract: In this master thesis we investigate the integration of a pattern based security requirement elicitation process in the goal-oriented IS development. By performing this integration we aim at providing a process that enables the elicitation of security requirements from Security Risk-aware Secure Tropos (RAST) models. The contribution of this thesis are five Security Risk-aware Patterns expressed using RAST. Defense: 04.06.2015, 09:00, Liivi 2-405. Abstract: The paper applies structured approach in identification of one security risk management standard that can be applied with different modelling languages. For a more in-depth analysis in this paper considered several modelling languages as BPMN, Secure Tropos and Misuse case. Abstract: This thesis presents a broad and thorough overview and analysis of the known attacks against mobile network signaling protocols and the possible mitigation strategies. The attacks are presented in a uniform way, in relation to the mobile network protocol standards and signaling scenarios. Moreover, this thesis also presents a new attack that enables a malicious party with access to the signaling network to remove lost or stolen phones from the blacklist that is intended to prevent their use. Defense: 09.06.2015, 09:00, Liivi 2-405. Abstract: In this work, multiple robust watermarking algorithms are introduced. They embed watermark image into singular values of host image’s blocks with low entropy values. The quantitative and qualitative experimental results are indicating that the proposed algorithms are imperceptible and robust against many signal processing attacks. Abstract: This thesis compares existing and possible security solutions for web applications, analyses NFC compatibility for security solutions and proposes a new NFC authentication and signing solution using Google Cloud Messaging service and NFC Java Card. This new proposed solution enables authentication and signing via NFC enabled mobile phone and NFC Java Card without any additional readers or efforts to be made. Defense: 09.06.2015, 09:00, Liivi 2-404. The current paper gives an overview of the Estonian internet voting individual verification system and introduces different ballot styles. It proposes and describes modifications to the Estonian system, so it could be used for individual verification with the introduced ballot styles and multiple elections. This report outlines various methods and solutions targeting security concerns and aims to understand their effectiveness. It also describes Secure Bitcoin Wallet, standard Bitcoin transactions client, enhanced with various security features and services. This entry was posted in BSc Theses, COMSEC, Copyright, Electronic Identity, Internet Voting, MSc Theses, Multi-party Computation, Security Modeling and tagged Arnis Paršovs, Atilio Rrenja, Dan Bogdanov, Dominique Unruh, Eero Vainikko, Fredrik Payman Milani, Gholamreza Anbarjafari, Ian Oliver, Jonas Kiiver, Joonas Lõmps, Karl Kolk, Kaveh Khoshkhah, Lauri Laur, Mary Agoyi, Meelis Roos, Meril Vaht, Olga Altuhhova, Raimundas Matulevicius, Sarbar Tursunova, Sead Muftic, Sevil Guler, Siddharth Prakash Rao, Silke Holtmanns, Sven Heiberg, Tuomas Aura, Vitaly Skachek on June 2, 2015 by user469294.